“Our position on the status of Jerusalem and the move of the American Embassy is well known. Our position is clear and long-standing. It is that the status of Jerusalem should be determined in a negotiated settlement between the Israelis and the Palestinians, and that Jerusalem should ultimately be the shared capital of the Israeli and Palestinian States” (see S/PV.8256, p. 7. Full document available here ). “The same is true of the relocation of certain diplomatic missions to Jerusalem, which is a blatant violation of the relevant Council resolutions, particularly resolutions 476 (1980) and 478 (1980), which considered such unilateral actions null and void, with no legal effect. We emphasize that such steps, which constitute violations of international law, will undermine efforts towards peace, exacerbate tensions, flair the rage and threaten to push the region into more violence, chaos and instability” (p. 4). “In line with the long-standing policy of the European Union, we will continue to respect the international consensus on the status of Jerusalem embodied in, inter alia, Security Council resolution 478 (1980), including on the location of diplomatic representation, until the final status of Jerusalem is resolved. As was stated in December last year, we regret the United States’ decision to recognize Jerusalem as the capital of Israel and to move its embassy from Tel Aviv to Jerusalem. This runs counter to international law and the Council’s resolutions“. No draft resolution on the transfer of US Embassy to Jerusalem took place at this meeting of May 15th, 2018. However, all the delegates had in mind the result of a draft resolution (see full text) vetoed by the US on December 18th, 2017: the result of the vote was 14 votes in favour and 1 single vote against: US vote (veto). No abstention of other States, and no State ready to support the US position were registered: an extremely rare situation for the US delegates in New York. “Estatuto de la ciudad de Jerusalén Información para la Prensa N°: 564/17. El Gobierno argentino entiende oportuno recordar su posición en favor de una solución de dos Estados conviviendo pacíficamente, en forma respetuosa, reconociendo las fronteras de 1967 y el estatus especial de Jerusalén de acuerdo a sucesivas resoluciones de la Asamblea General de las Naciones Unidas. La Argentina reconoce el derecho del Estado de Israel a vivir en paz junto a sus vecinos, dentro de fronteras seguras e internacionalmente reconocidas, así como el derecho del pueblo palestino a constituir un Estado libre, independiente y viable en base a las fronteras de 1967 y de acuerdo a lo que las partes determinen en el proceso de negociaciones. Al igual que la mayor parte de la comunidad internacional, la Argentina apoya el régimen internacional especial de Jerusalén, conforme lo establece la Resolución 181 (1947) de la AGNU, así como el libre acceso, visita y tránsito sin restricción a los Lugares Santos para los fieles de las 3 religiones monoteístas (judaísmo, cristianismo e Islam), por lo que Argentina lamenta medidas unilaterales que pudieran modificar este estatuto especial“. More generally, we have had the opportunity to register all the officials reactions of States of Latin America when the US President announced in December 2017 his intention to transfer the US Embassy to the Holly City (see our article published by MEMO (Spanish version) entitled: “Reacciones a la decisión de EE.UU. 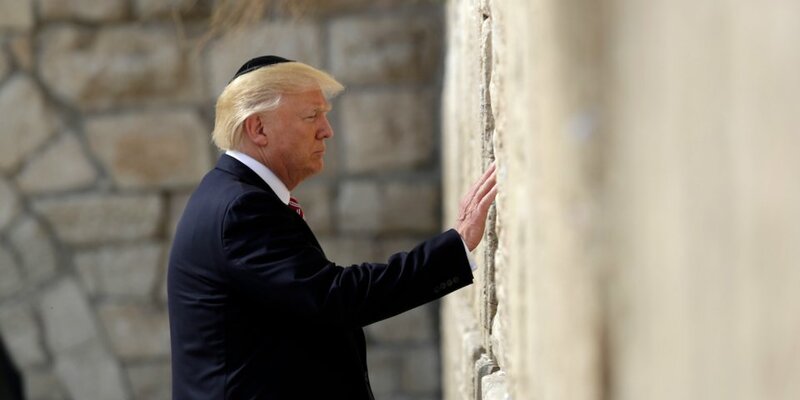 de reconocer a Jerusalén como capital de Israel”). The different positions and legal arguments presented during this meeting of December 18th at the UN Security Council (see S/PV.8139 available here as well as the vote of 14-1 at page 3) show the absolute isolation of the US position and the strong consensus among the members of the UN security Council on Jerusalem´s international status. As well known, the status of East Jerusalem as an occupied territory has been reiterated by many UN bodies, including the UN Security Council and the International Court of Justice (ICJ), and other international organizations. The fact that in November 2017, during his presentation, a former ambassador to the UN like John Bolton didn´t refer to any UN Security Council resolution (see full text of his declaration at the Subcommittee on National Security) is a clear evidence of the importance (for the US policymakers) to ignore international law perspective. In a recent legal analysis of Israel´s illegal occupation of Palestine, the author concludes that “A determination that Israel – or any occupying power whose administration of the occupation has breached one or more of the fundamental principles – has become an illegal occupant would elevate the duty on the international community to bring the occupation to a successful and speedy close” (see article of Professor Michael Lynk entitled “Prolonged Occupation or Illegal Occupant?“, published in EJIL Talk). The last efforts of the US to legalise the occupation of Palestine by Israel are consistent with many declarations given by President Trump during the electoral campaign of 2016 in the US as a simple candidate. However, once materialized, they should be declared illegal by the international community. Given the situation at the Security Council, such a consensus on the illegality of the US position could be examined now by the ICJ itself, through an advisory opinion to be submitted by the UN General Assembly through a resolution (as done concerning the illegality of Israel Wall in Jerusalem: see full text of ICJ advisory opinion of 2004 entitled “Legal Consequences of the Construction of a Wall in the Occupied Palestinian Territory”). As known, the advisory proceedings allow UN Member States to present their legal opinion to ICJ´s judges (see the official list of legal opinions presented by UN States Members concerning the construction of the Wall). It is probable that Israel, US and their allies in the Pacific Ocean (Marshall Islands, Micronesia, Palau and Nauru) as well as Guatemala (who opened its Embassy in Jerusalem last May 16th) and Paraguay (last May 21st) will vote against, and that some others will abstain when voting a resolution asking to the ICJ an advisory opinion. This is not a problem for ICJ nor for international law. On the other hand, many States that do not recognize Palestine as a State could, in response to the unilateral decision of the US administration, take the decision of such recognition. The recognition by Sweden in 2013 of Palestine shows to EU Members that nothing bad happens to a State when deciding to support Palestine´s effort to be recognize as a State, despite the well-known arguments of Israel against such recognition (see for example note of Haaretz of 2013). In Latin America, after Costa Rica´s recognition of Palestine in February 2008 (provoking the same Israel ´s reactions with the very same arguments read in costarican newspapers), all the States of the region decided to follow Costa Rica´s position in the following years, with two notable exceptions: Colombia and Panama (both receiving major US cooperation in the region). It has to be recalled that interesting votes took place at the end of 2014 in different Legislative Powers in Europe. A resolution on the recognition of Palestine has been adopted on October 18th, 2014 by the British Parliament with 274 votes in favor and only 12 against (see press note of The Guardian). In Spain, the result of a vote on a similar resolution that took place on November 18th, 2014 was of 319 votes in favor, one abstention and 2 votes against (see our articleentitled “El Congreso de España y el reconocimiento de Palestina como Estado: balance y perspectivas” published in Debate Global). The strong consensus on Jerusalem among the members of the UN Security Council must be capitalized in legal terms. Next UN General Assembly could be a wonderful place to do so. Acting individually, States can also respond to the US provocation helping the full insertion of the State of Palestine in international law, allowing it to use all legal procedures open to States (and only States).